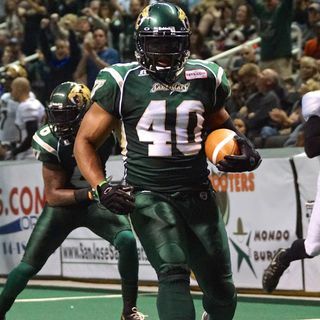 On this week's episode of Inside the Nation podcast, Tom and I have a conversation with Defensive End Rodney Fritz, Jr. Rodney began his Arena Football League career back in 2011 with the now defunct Tulsa Talons. He spent some time north of the border with the Canadien Football League and shares his experience there. Rodney would return back stateside in 2014 and receive a call from the San Jose SaberCats. But he did not play until the 2015 season. Unfortunately, a injury kept him ... See More out for 10 games. Due to the league departure by the SaberCats ownership, Fritz joined the Los Angeles KISS as a free agent for play in this season. Until recently, Fritz was a KISS player from San Jose just like many others are. However, the KISS placed him on Inactive Reserve and without hesitation, the Arizona Rattlers claimed him. Listen to the entire episode as Rodney shares with a lot of personal experiences from his CFL and AFL playing days and what he plans to do as a career after his football career.